Begin by treating yourself with respect first and foremost. You will see it equally returned to you. Without that, don’t be so certain it will just happen for you. There are preconceptions out there that women have weaker IT skills than men, and that’s simply not true. I’d advise women who are interested in coding not to pay attention to that and to believe in their skills. There are companies out there like Lucidworks that promote diversity and make sure bias does not exist in the workplace. I had the pleasure of interviewing Chao Han. 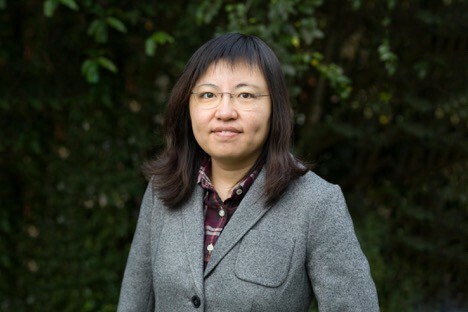 Chao is the VP of Research at Lucidworks, where she is the head of data science and leads the AI Lab. 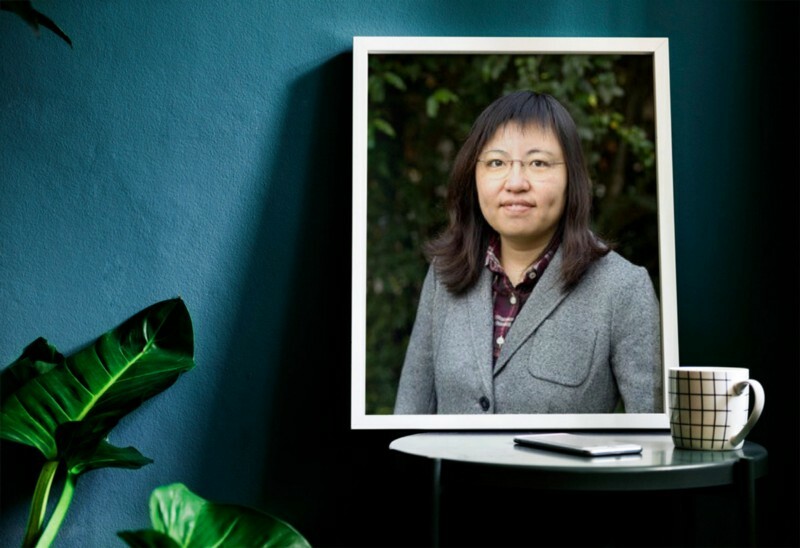 With over 10 years of analytical experience, in both academia and industry,she’s a proven expert in the AI/ML world. Chao helped build the flagship product, Fusion AI, by using state-of-the-art AI methods. I have always been fascinated by natural language processing (NLP), even before it became popular, and I chose text visual analytics as my PHD research topic. I learned a lot of ML methods along the way due to the requirements of NLP tasks and I fell in love with ML ever since. If data science can truly make you happy and you feel passionate about it no matter how hard it is, then it can be a fun lifetime career to pursue. Don’t choose it just because others choose it. I’m working on building chatbots using deep learning models. I have also developed a suite of query analytics methods such as automatic query rewriting and synonym detection. I want to thank my manager in my first job. He taught me many practical data analytics tricks. He was always encouraging even I when made mistakes which helped a lot with building confidence in solving different problems. I learned to balance the amount of praise and critique in my management practices now. The advancement in deep learning which easily beat the current state of the art conventional machine learning methods. The realization among all industries of the importance of AI and putting an effort on AI to provide insights and improve efficiencies. The impact on everyone’s daily life with new services backed by AI such as google’s automatic email response, more customized recommendations on e-commerce websites and chatbot apps. The maturity of the cloud computing environment making AI more available than before. AI education (both online and in-school) demystifies AI and helps prepare people with diverse backgrounds. A large number of STEM major students switch focus to become data scientists, which could lead to data scientist market overflow. The core math of how and why deep learning works is still not solved, which leads to problems such as long computation time and the need for extensive GPU resources. Large scale industry adaptation of deep learning will take time. AI models can be biased if standard modeling practices such as diversified data sampling and feature constructions are not followed. Many software companies which claim using AI actually don’t have any AI component in them. The name has been abused. The deep learning modeling process still needs a lot of involvement of data scientists manual tuning and coding. Real intelligence means the ability to self learn, which is still far from a reality. AI can be applied to many applications such as healthcare and self driving cars which will benefit society. However, misuse of AI by dangerous groups (such as terrorists) in areas of weapon development or gene editing is concerning. Currently, AI doesn’t have the self-learning ability to harm people intentionally or connect to each other through internet to perform large scale damage, but those behaviors are possible if not carefully controlled in the future, not in the near future though. Currently there isn’t any centralized organization to regulate AI industry and researches. We highly rely on the big IT companies to have good intentions and follow standard model building process to prevent AI bias or misuse. Hope such organization can be established asap to gain more public trust. I make an impact through ML projects. For example, the check fraud detection model I helped build at JPMorgan caught fraud and generated 80 million dollars of fraud saving each year. At Lucidworks, the query analytics ML jobs I built is being used by major e-commerce websites to help improve query relevancy so that shoppers can find what they want faster to save time. Participate in meetups and events to advocate women students join IT industry and choose engineering majors. “Either do not begin or, having begun, do not give up.” Getting a PHD and continuing to learn and stay up to date in AI techniques all require determination. Don’t give up easily. I would like to advocate for data scientists to spend their free time helping to analyze data for non-profit organizations on meaningful subjects such as climate change, healthcare, fact checking on possible false claims etc.